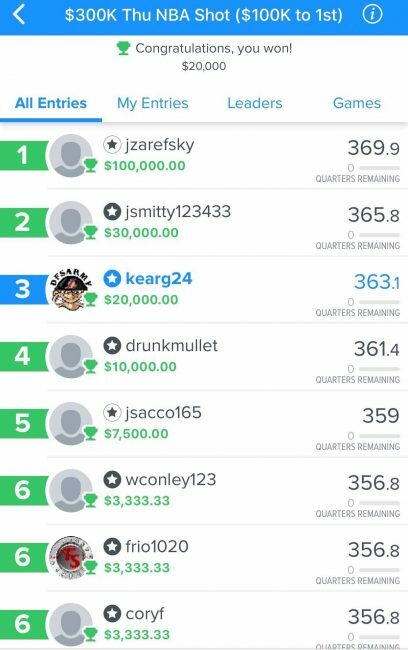 Hello world it’s UW81 in Slack (UW81) or on twitter @Chasing21_UW81 for any questions related to playing on the DFS site, Draft. I provide more general information and strategy regarding DFS as opposed to being married to single sport. In this article we’ll take a look at scoring, differences between the other major sites, and contest types. If you’re not familiar with DFSArmy and myself, we cover NFL and MLB in depth for Draft. In conjunction with our group and one-on-one coaching, we cover everything from high level strategy to what picks and pivots are great for every slate in every sport. 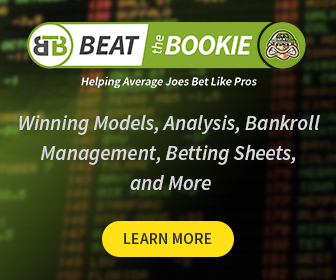 We have a coach and expert for Joes to Pros at all bankroll levels. Use promo code UW81 to Save 20% on your membership and lock in your price forever! If our price ever goes up, which I’m sure it will, you’re price will never change. Not a member yet and want a free month to DFSArmy? Sign up for Draft today through our link here, deposit at least $20, and email us at ffootballgeek@gmail.com with the site you registered for and the username you chose. We will get back to you with a code for a free month of DFS Army VIP membership for each new site signup. It’s that simple. That’s it. No salary cap. No team restrictions. So what’s the catch? With all contests types (Except Dream Team) you snake draft teams. Snake drafting strategies vary and in general are quite a bit different than your traditional DFS sites. As such, we work all season to help create winning strategies for all sports here at DFSArmy. Use promo code UW81 to Save 20% on your membership and lock in your price forever! If our price ever goes up, which I’m sure it will, you’re price will never change. Starting with pitching, we can see a considerable difference versus FanDuel and Draft Kings. With points accumilating at half the rate of FanDuel (roughly) and significantly less than DraftKings, it’s all about the hitters on Draft. Hitting we can see finding those guys that can nail the long ball is even more important now. One HR can outpace your pitcher. With Stolen Bases being worth more than a single, finding those players with speed brings extra upside versus the general dink and dunker. Hitting scoring is very comparable to Draft Kings current system with the only smaller differences. However like all sites, HR’s are king here as well as extra bases. Just like general advice for constructing a line up, picking players higher in the order that have more chances to hit the ball, the better off you’ll be. We have a lot of premium tools that can help you figure out what are better plays and we’ll break down picking batters in our VIP strategy article series. Dream Team contests: Just like it sounds, you put together your 5 man dream team. No drafting and no restrictions. Think of it like pick-em on Draft Kings without the tiers. Baseball is one of the highest variance sport. Dream Team formats let you control your destiny so to speak and put your best foot forward by picking your five favorite starters for the night. In the main lobby, you’ll mostly fine 56 and 111 man contests (think mini GPPs) that are all single entry. You can create your own contests with this format if you so choose. Not a member yet and want a free month to DFSArmy? Sign up for Draft today through our link here, deposit at least $20, and email Then email us at ffootballgeek@gmail.comwith the site you registered for and the username you chose. We will get back to you with a code for a free month of DFS Army VIP membership for each new site signup. It’s that simple.